Royal Air Force test pilot and Squadron Leader Andy Edgell enters the cockpit of an F-35B Lightning II aircraft equipped with inert 500-pound GBU-12 Paveway II laser-guided test bombs on the flight deck of amphibious assault ship USS America (LHA 6) during flight operations. The F-35B short takeoff/vertical landing (STOVL) variant is the world’s first supersonic STOVL stealth aircraft. America, with Marine Operational Test and Evaluation Squadron 1 (VMX-1), Marine Fighter Attack Squadron 211 (VMFA-211) and Air Test and Evaluation Squadron 23 (VX-23) embarked, are underway conducting operational testing and the third phase of developmental testing for the F-35B Lightning II aircraft, respectively. 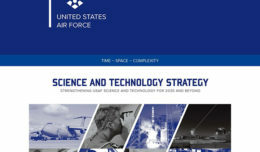 The tests will evaluate the full spectrum of joint strike fighter measures of suitability and effectiveness in an at-sea environment. The Joint Strike Fighter program consists of three variants; nine partner countries which include Australia, Canada, Denmark, Italy, the Netherlands, Norway, Turkey, the U.K., and the U.S.; and three Foreign Military Sales (FMS) customers — Japan, Israel, and the Republic of Korea. Within the joint, multinational F-35 acquisition program, the U.K. is the only Level 1 partner. 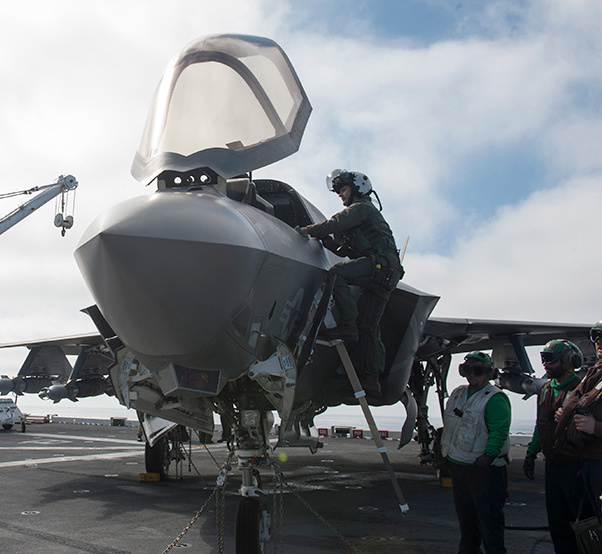 This major partner role enables the U.K. to integrate its personnel into the System Design and Demonstration phase, which features its forces working side-by-side with the U.S. during developmental test phases — including the third and final developmental test phase (DT-III) of the F-35B aboard amphibious assault ship USS America (LHA 6). The integration of the United Kingdom’s Royal Air Force and Royal Navy within joint squadrons and operations worldwide hearkens back to RAF Harrier and Royal Navy Sea Harrier initiatives to economize and streamline operations by leveraging resources and personnel operating across common platforms. Based upon the success of that integration, the U.K. determined to apply similar tactics to its F-35B Lightning II operations and executed a Long Lead Specialist Skills program developed under the U.K.-U.S. Statement of Intent to help the U.K. regain specific skills for carrier strike regeneration. As part of the LLSS program, the U.K. sent a small team to USS America to take part in DT-III. While LLSS covers a wide variety of skills and trades, the DT-III team featured an air traffic controller, five engineers, handlers, and maintainers responsible for the safe movement and handling of F-35B aboard future Queen Elizabeth-class carriers HMS Queen Elizabeth (R08) and HMS Prince of Wales (R09). During the F-35B Short Takeoff and Vertical Landing flight operations aboard America, the U.K. embarked a 10-member strong team from the F-35 Pax River Integrated Test Force assigned to Air Test and Evaluation Squadron (VX) 23 from Naval Air Station Patuxent River, Md. 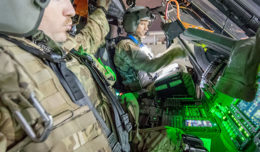 The U.K.’s DT-III contingent featured a RAF test pilot, three flight test engineers, and six maintainers responsible for the detachment’s maintenance evaluation. The team worked together during the 23-day embarkation to gain knowledge and experience of maintenance procedures and techniques, familiarize themselves with the aircraft structure and systems, identify maintenance routines, and generate lessons learned from shipboard operations with the F-35B Lightning II. An F-35B Lightning II aircraft takes off from the flight deck of amphibious assault ship USS America (LHA 6) during flight operations. “We have worked hard for the last 12 months in making this period a success,” said Royal navy Lt. Cmdr. Dale Collins, U.K. F-35 air engineer and ship integration project officer embedded with the F-35 Pax River ITF. The objective for the Royal navy is to establish a maintenance guideline for the F-35B to compare and integrate with the new QEC carriers, while also gathering information from lessons learned from members of America’s team — experience which will prove valuable for the U.K.’s own flight trials in 2018. In addition to the U.K. team, Australian service members integrated with various departments from the America and F-35 team. An F-35B Lightning II short takeoff/vertical landing aircraft conducts test operations on the flight deck of amphibious assault ship USS America (LHA 6). The highly diverse cadre of Pax River Integrated Test Force technicians, maintainers, engineers, logisticians, support staff and test pilots are embarked for the third and final developmental test phase of F-35B carrier suitability and integration. 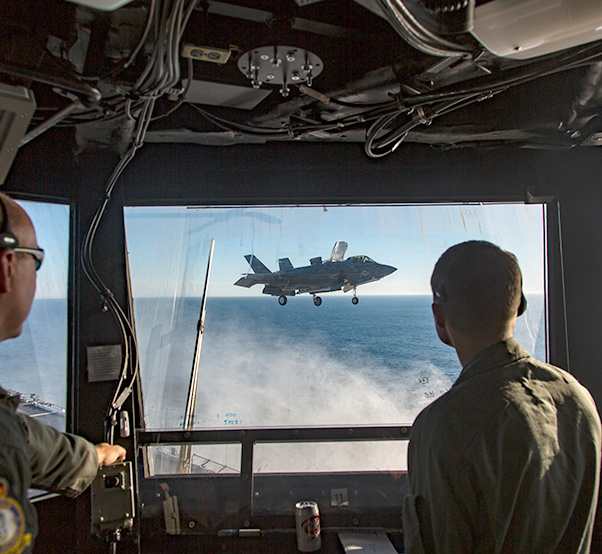 According to RAF Squadron Leader Andy Edgell, a F-35 test pilot embedded at the Pax River ITF, integration is important between personnel as testing moves forward and the America team learns how to support the F-35B’s DT-III testing, while learning the ship and aircraft parameters. 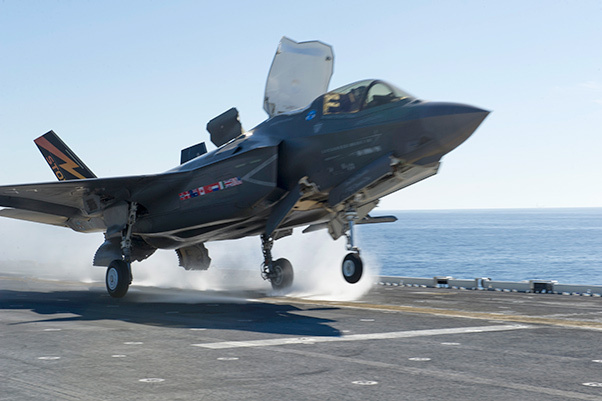 The U.K.’s status as the only Level 1 partner on the F-35 program and its major role in the F-35’s SDD phase is enabling the regeneration of the U.K. carrier strike capability, which will result in significant contracts and jobs for U.K. industry as the F-35B Lightning II and Typhoon become the U.K.’s Fast Jet Combat Air Elements of the future.